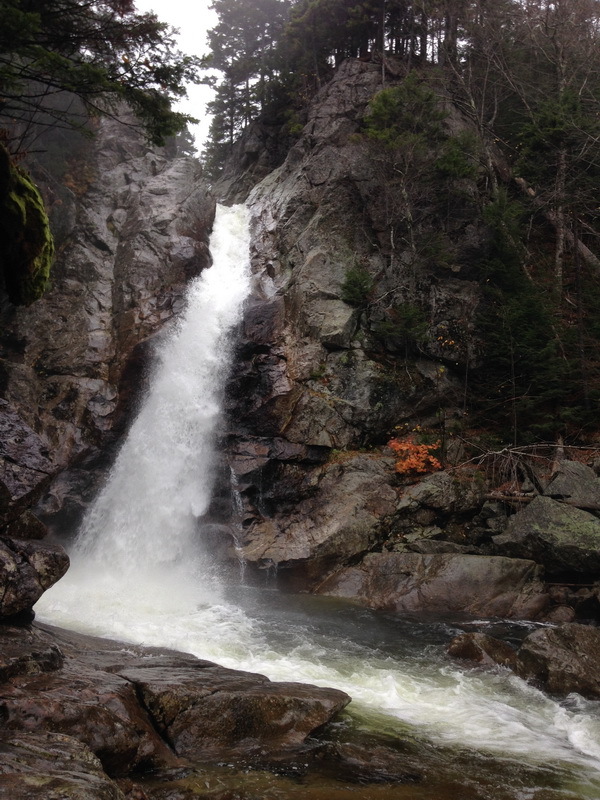 Check out the sights along the Kancamagus, take some photos of some waterfalls, drive up the Mt. Washington Auto Road, scope out a couple of old time covered bridges, enjoy local foods, take a chance at seeing some moose, and spend some time in the woods! 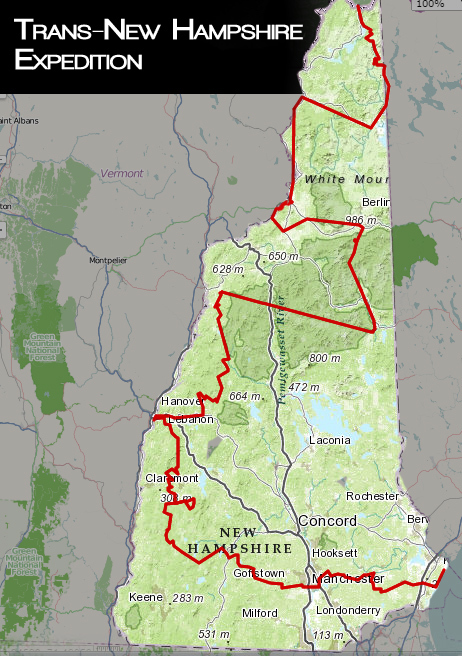 We will start at the Canadian border in Pittsburg NH and wind our way down through the state, briefly entering Maine and Vermont along the route before ending at the NH seacoast. 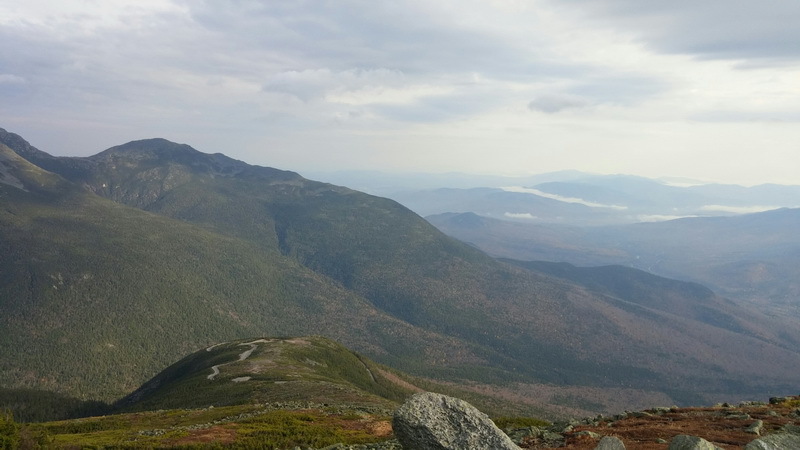 We will cover nearly 500 miles of New Hampshire’s best and most scenic roads and trails. 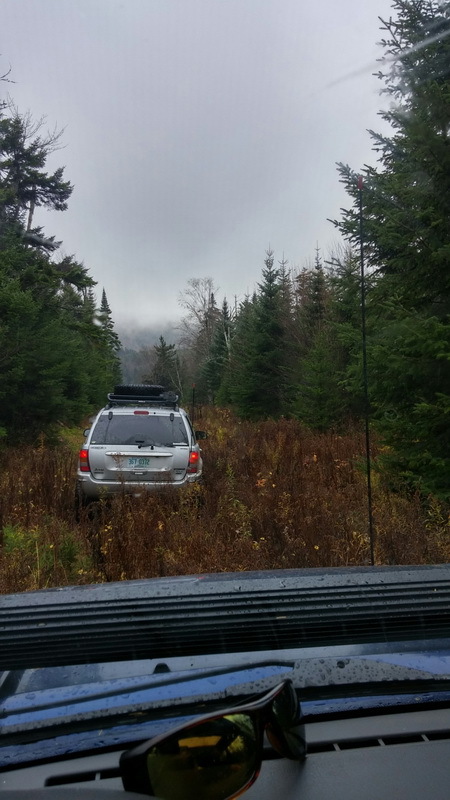 From the expansive networks of dirt and logging roads up north the the scenic White Mountain National Forest roads to the tight trails and historic small towns of Southern NH, we will see it all. This is a stock friendly tour that will be difficult in some places. The trip is designed around a Jeep JK Rubicon in stock form but check the trail ratings below for more detailed info. 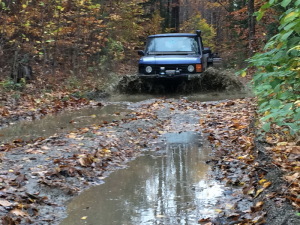 This will be a challenge for a completely stock vehicle but absolutely possible! Keep in mind that the scenery is the same no matter what you drive! Disclaimer – THIS IS A NON-REFUNDABLE TRIP. PLEASE MAKE PROPER ARRANGEMENTS BEFORE PLANNING. I WILL DO MY BEST TO FIND A REPLACEMENT FOR YOU IN THE EVENT THAT YOU CANNOT MAKE THE TRIP, BUT I CANNOT GUARANTEE THAT. This is a 10 RIG Maximum. Once the spots are filled you will not be able to purchase the trip. Cost: $345/vehicle includes driver and 1 passenger. Additional Passengers need to be paid for separately. Please contact Paul Ouellette at Overland@ExploringNH.com for options. Dates: June 7-9, 2019 – ALL SPOTS FOR THIS TRIP HAVE BEEN FILLED. Start Location: Canada/New Hampshire border – Pittsburg, NH. Finish Location: Seacoast, Rye NH. 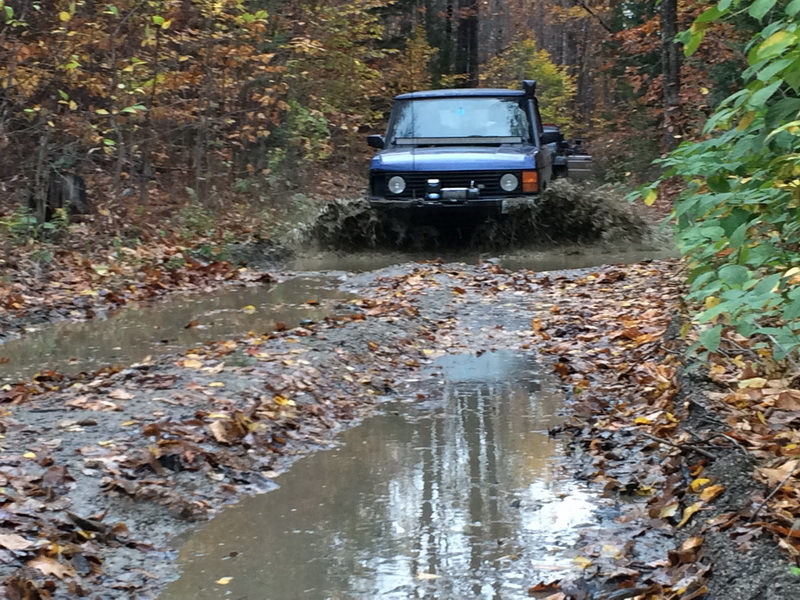 1: The first day will be almost entirely dirt and logging roads as we make our way towards Mt. Washington. Depending on time and weather, we will drive up the Mt. Washington Auto Road as the final destination on Friday or the first destination on Saturday. 2: The second day will be incredibly scenic roads all day. The first half of the day will be almost entirely paved roads while the second half will start to venture back onto the dirt with the possibility of a couple of trails at the end of the day, again depending on time. 3: The last day will be substantial off-road travel. The trails are all stock friendly but will be difficult in places. Some trails will also be narrow. There will be an essentially zero chance of body damage aside from light pin-striping from encroaching tree branches if you follow your spotter’s instructions and don’t drive like an idiot. The last hour of the day will be a straight pavement drive to the seacoast. 4: We will be camping at campgrounds Friday and Saturday night. 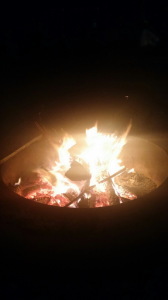 There will be a campfire and facilities available. There are motels in the area if you would prefer to have more amenities. 5: This route is very flexible and open. Nothing is set in stone and we will change things depending on the group’s desires, weather, and time. We have a lot of ground to cover and a lot of things to see in a short period of time. 6. There is limited hiking to get to one of the waterfalls. It is a .6 mile easy hike/walk on relatively flat ground and a well maintained path. 7: A WORKING CB IS HIGHLY RECOMMENDED!! This trip will not be nearly as enjoyable if you do not have a CB. 1: All participants will also receive this trip as a packaged “Adventure Route”. This route includes written, turn-by-turn directions, a GPX track of the route for use in compatible GPS devices or apps, lodging options along the route, points of interest, recommended food stops, and more. This Adventure Route packet will enable you to run this route again at any time you please. Just find a partner, hop in your trucks, and go! 2: Lodging is provided Friday and Saturday night. Lodging will be a campground with bathroom and shower facilities. 3: Mt. Washington Auto Road is included for the driver and up to one passenger. Additional passengers will be the responsibility of the driver at $8/adult. There are discounts for children. Check the Mt. Washington website for details. 4: All other costs are covered by the participants. 1: Fuel – This trip can cover up to 350-500 miles of back roads. Why such a big range of total mileage? It depends on many factors and it is always best to plan for the worst. Our biggest enemy is time. We have a lot of ground to cover and not much time. Overall speed on the trails and difficulty over obstacles is another big factor. There are other factors like food/bathroom breaks, time for photos, and hiking time that can all contribute. This trip is pretty open ended, flexible, and is more about the journey than the finish line. Whether we travel 250 miles or 550 miles, we will have a lot of fun doing it and we will make our destination! 2: Food – You are responsible for all of your own food. Plan to cook breakfast and dinner at camp each day and prepare to have snacks and drinks in the vehicle with you to hold you over until meal times. We will be stopping for lunch at a sit-down restaurant on Saturday. With this said, it is always best to have something that can be eaten as a make-shift lunch in case we get held up on a trail or our schedule is off and we can’t make it to lunch at exactly high noon. 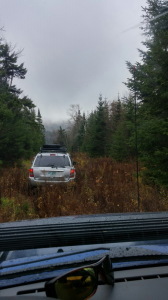 Sunday we will be eating lunch in the vehicles/on the trails. We will likely be finishing up the trip just before dinner time. It is probable that some people will head right home to get ready for work on Monday while others may choose to go have an end-of-trip dinner at a local restaurant. 3: Thursday night lodging or alternative lodging – Thursday you are on your own to find lodging. Some people might stay at Hancock Campground, information about and directions to Hancock Campground are covered in your Adventure Route info packet which you will receive prior to the trip. Others will discreet camp in the area. Others will skip camping on Thursday and just arrive to the meeting spot Friday morning. If you wish to stay in a motel/hotel/B&B on Friday or Saturday night instead of the provided campground, that is certainly an option but this is up to you to arrange and pay for. 4: Various state parks – State parking areas and some scenic spots require paying a fee of $3/vehicle/day. We will need parking passes for Saturday only. 1: There will be fuel stops along the way as well as provisioning stops each day for anyone that needs to pick up food or ice for coolers. These stops are also good times for bathroom breaks. 2: Be prepared for weather! It may rain, it may snow, it may be hot and sunny. This is New England! Nights can be a little chilly and Mt. Washington has the potential to be pretty cold at the top. Bring appropriate clothing for all weather conditions we may encounter. Hot days, cool nights, rain, sunshine…be prepared! 3: There will be NO alcohol consumption until we are all parked for the night! This is pretty common sense but I had to say it. ExploringNH is generally very strict on having the minimum equipment to be able to go on a run. I think I will surprise everyone here and go against the culture by saying that our minimum equipment list will NOT be enforced. This does not mean to throw out your spare tire and fire extinguisher. It does mean that if you do not have the minimum equipment, you are still welcome. The reason for this is that what we are doing here is an Overland Adventure Route, designed to be friendly to stock vehicles. This is overlanding! It is up to you to make the decision about what you decide to carry. If you choose not to bring a spare and you end up with a flat, that was your decision and it impacts how your trip goes! In cases like this, we will do our best to get you to safety and out to a main road. Be aware of the risks involved in this. Once out to the main road with help on the way, we will leave you and continue with the trip. We have a bunch of people that all took time out of their lives to have fun and explore for the weekend. We can not hold up the whole group for you. It is not fair to everyone else. The same goes with breakage. If you break an axle, we will do what we can to get you to safety but then you are on your own. If you are able to get repaired, contact the group and meet up with us later that day or at camp that night. With that said, if it is possible to get you repaired on the trail with a minimal time cost, we will do our best to get you back up and running. We want you to complete the trip and we REALLY don’t want to leave anyone behind, but we will do what we have to in order to keep everyone moving.